For the many that didn’t know before they went to vote in 2010, there were five possible choices in the Congressional primary and I was one of them. Dubbed the last minute filer or the Conservative Democrat by many of our media outlets, I chose to run against Julie Lassa so that she wouldn’t be allowed to skate to November’s election without first defending her beliefs and past state voting record to her potential supporters. This vetting process is an important American tradition in politics as it exposes a candidate in a way that may not be revealed in a general election especially if both party candidates share the same beliefs. This was fully accomplished in 2010 as both major parties went to a primary. 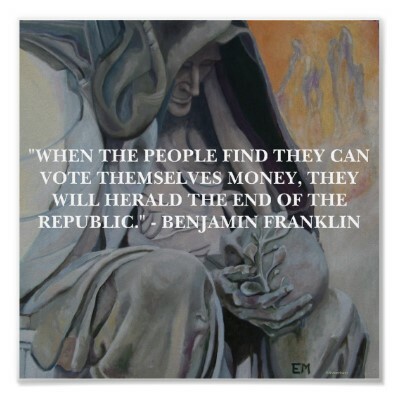 Presently this is not the case for the 2012 Congressional election and that is unfortunate although avoidable. With only two announced major party candidates, both with heavily banked campaign accounts, I fear that many issues important to our district will be sidestepped to avoid undue attention. Sean Duffy, hoping for political gain, voted to give President Obama the authority to raise the debt ceiling $2.1 trillion and voted to extend the payroll tax cut. Both of which only continues to raise the national debt at an increasingly alarming rate. Pat Kreitlow, the Democrat challenger, is also likely to do the same as these expenditures where championed by the Democrat party. Once again I find myself asking “Are the beliefs and values of the candidate with the most connections ~ ergo money ~ the basis of what this country’s future seeks to become”. As in 2010, I am faced with the same decision on whether to be involved in this vetting process. Two years ago through my own efforts I obtained nearly all 1000 signatures needed for nomination. This year due to time and commitments I am asking for your help this spring in acquiring them before the June 1st deadline. To achieve this goal we will need to obtain a minimum of 1000 nomination signatures to place myself on the primary ballot to face Sean Duffy and provide him with an opportunity to defend his voting record. Together with a little effort we can make this happen. Don’t let the political money machine force you into believing there are only two candidates. Please visit www.votefordon.com for easy to follow instructions and complete information if you are interested in making this election more than just the typical same old political rhetoric. Where do you stand on the new Viking stadium? You are not alone Don. There are plenty of people scratching their heads over some of Sean Duffy's votes. The Republican party's reasoning to raise the debt ceiling limit is just plain hypocritical. We'll authorize the increase, but it is all on YOU President Obama if YOU choose to use it. Waiting for an update on campaign schedule. Mmmmm.....maybe trying the silent campaign?